Amin Matni, Program Manager of Qatar Business Incubation Center was a guest of Starttech’s Dimitris Tsigos of Starttech. 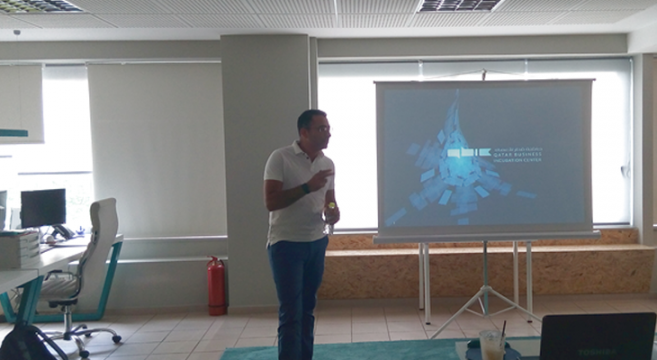 Matni made a brief presentation on the QBIC programme and the opportunities that exist for the Greek Startups in the MENA region. Qatar and other countries in the region carve strategies for finding alternative development and transformation sources beyond oil and natural gas, which constitute their gold-bearing base for decades. In this context, Qatar has developed a plan to 2030 that sets goals and implementations for improving specific areas of the state, such as health, education, infrastructure, business development and innovation in five steps. Innovation and wealth created by a country’s startup ecosystem can be multiplied and helped by synergies between the state and the ecosystem, in sectors like HealthTech or infrastructure etc. QBIC was created by the Qatar Development Bank and the Social Development Center two years ago and it is currently supporting Startups from around the world by offering them working space, initial capital, consulting services and networking for scaleup. QBIC is focusing on two main fields, Tourism and Digital solutions, which include modern business implementations. From 2017 onwards a new program will be added, in the field of Health and Welfare. QBIC is accepting applications from entrepreneurs, Startups and Scaleups. Αfter an initial interview, QBIC is incorporating the teams into a programme according to their level. The programme provides all the necessary tools in order to test the proof of concept and the idea maturity. The first stage of the programme lasts 10 weeks and if it is determined that the idea can become reality, the team proceeds to the next stage. After pitching, the selected groups will pass another test in order to qualify for the usual incubation program. The selected companies receive 25.000 euros for the first quarter in order to make the necessary prototype and the market testing. If it is determined that the product is worthy, the team goes into the acceleration phase that lasts 3 to 12 months and receives funding up to 50.000 euros. If it passes successfully the Demo day, each team is provided with a funding of 200.000 euros. QBIC in return gets the 30% of the startup’s share. The program lasts two years and there is the possibility of additional funding up to 4 mil. euros by QDB. The invested money should be returned within a time frame of four years. A startup can exit at any time. In terms of entrepreneurship, the uniqueness in the region is that any company that will be created should necessarily have a partner from Qatar who will own 51% of the company. QBIC help the teams to find partners by organising special events for networking and meeting with entrepreneurs from Qatar. Armin mentioned that there is a change in Qatar’s entrepreneurs mindset. 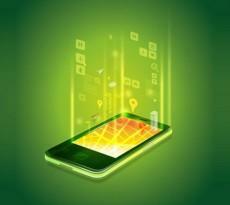 Local partners previously were participating in a typical way in businesses while nowadays they are more active. It should also be noted that there female entrepreneurship is well received in the country. In fact, the CEO of QBIC is a woman. Until now, over 60 companies have been incubated while seven of them are about to complete the program and they are preparing to graduate. One of them is already receiving large orders and has a big customer database. Moreover, an exit is about to take place.